Everyone loses some hair every day. On average, we lose between 50 and 100 strands of hair a day—for women, this can be closer to 150. While this may sound like a lot, some hair loss is natural and shedding is actually very normal. However, if you find that you are losing more than the average number and are concerned about how much hair you are losing, you may benefit from talking to a hair loss specialist. Men and women with noticeably thinning hair can benefit from hair restoration at New Look Life Cosmetic Surgical Arts. If you have patches or strips of hair that have decreased in hair population, have noticed a receding hairline, or if you have a bald spot in the back that appears to be getting larger. 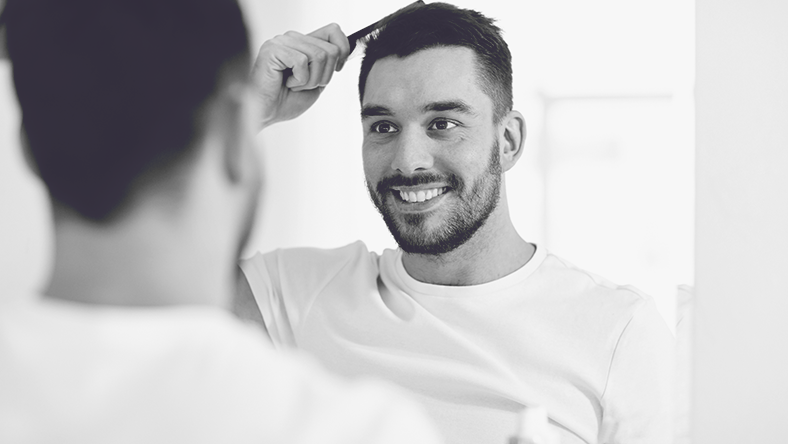 With Automated Hair Restoration, Dr. Karlinsky is able to help a wide array of hair loss problems from light thinning to more dramatic and substantial balding. Dr. Karlinsky has partnered the New York City Institute for Hair Restoration to provide her patients with the latest in hair loss restoration. At our New York City practice, Dr. Karlinsky performs the revolutionary Follicular Unit Extraction (FUE) NO SCAR hair transplant system. With precise accuracy, our cutting-edge automated hair transplant system allows Dr. Karlinsky to harvest and re-place individual hair follicles for the most inconspicuous and natural results. This new, advanced technique is suitable for all hair types and makes hair restoration more accessible than ever before. Don’t let hair loss get the best of you. Dr. Karlinsky understands just how intimidating hair loss can be and is pleased to be able to help her patients achieve a fuller head of hair. You can learn more about hair restoration and your options when you schedule your hair loss consultation at New Look Life Cosmetic Surgical Arts. Let us take the leap into your hair restoration journey with you!